All About Government Jobs . . . Welcome to the world of government applications. 1. Find a government job vacancy. 2. Get the selection documentation and selection criteria (also called key competencies, application criteria, key accountabilities etc). You might be able to download it straight from the vacancy webpage or you might have to contact someone and have it emailed to you. Instructions will be within the job ad. 3. Speak to the contact officer to get inside information that they other applicants won't have. 4. 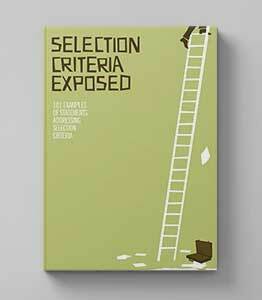 Address the selection criteria. 5. Update your resume so it is specific to the job and write a cover letter. 7. Congratulations you have a new government job! 13. Unsuccessful applicants receive feedback on their applications. Each of the above stages can take weeks, depending upon when each member of the selection panel is available, when applicants are available to be interviewed, when referees are available to complete the reference checks, how long it takes to write the report and when the delegate is available to sign the report. It is not uncommon for recruitment processes to take months, and in some cases applicants can wait 6 months after their interview before hearing that they are successful. Procedurally, the delegate has up to 12 months from the date of the advertisement course is one end of the extreme, and some panels are very efficient in their recruitment processes. As a guide, it is reasonable to expect that the process will take around three months from the time of advertising to the time of notification of the outcome. This might seem like a really long time if you work in the private sector and have never applied for a government job before - but it is relatively normal in the government sector. Applying for a government job is a very different process to applying for a 'normal' job. There are a number of reasons for these different recruitment processes, but the biggest is that the salaries for government employees comes from our taxes, and the government has an obligation to show the public that they are spending their money wisely, and employing the right people. The process is set and documented, and appeals against decisions can be made in certain situations. You can't get a job in the government because your brother-in-law recommended you, networking plays no part in getting government job. Most of the vacancies aren't advertised in the paper or career websites like most normal jobs. You can't send your resume in "just in case" an opportunity comes up, it will not be held on file or considered for future vacancies. Your application will take you at least three times as long as a normal application, if not longer. The interview will be infront of a panel, who again will question you against the key selection criteria. The best person doesn't always get the job, often the best application writer will get the job. The process is long and drawn out. 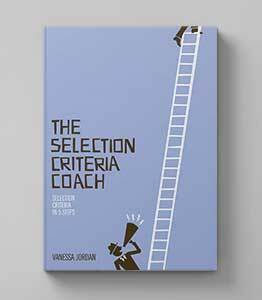 The most important thing you can do is pay attention to the selection documentation and write the best possible statements addressing selection criteria that you can! Government jobs can provide long-lasting and fulfilling careers filled with unique experiences and the knowledge that you are working in a job that is ultimately serving the nation. Their working conditions (including working hours, leave provisions etc) are top notch. If you've only been looking on the popular internet job boards or in the newspapers, you've probably missed out on most of the vacancies! All government departments are required by their own laws to publicly advertise all permanent jobs and also temporary jobs that are expected to last a considerable timeframe. So where do you find these vacancies? The Commonwealth government (or federal government) employs public servants across Australia in areas that look after national matters, such as defence, human services, taxation etc. All commonwealth government jobs (regardless of the state they are located in) are advertised on the one website, below. Find a commonwealth government job here. The state governments employ public servants within their own state to work in services like schools, hospitals, police, business regulation, and roads and transport departments. At this point in time there is no centralised website for all state government jobs. You will need to visit each state's website individually. Local governments (councils or shires) take responsibility for community facilities, town planning, local roads, building works, parking, water and sewerage, domestic animal registration and management and waste disposal. The best way to find a local government job is to go directly to the website of the council that you want to work for and look at their vacancy page. At this point in time there is no centralised website for all Australian local government jobs. All ongoing (permanent) opportunities have to be notified on the applicable governments’ websites (listed above). Certain positions are also advertised in the press or on popular internet job boards, however this is usually determined by each individual hiring manager or human resources department, so there are no definitive guidelines as to which positions will appear in the paper or on other internet career sites. Non-ongoing (temporary) positions are also often advertised on the governments’ websites, however unlike ongoing positions, these positions don’t have to be advertised here. Non-ongoing positions can also be advertised on individual department websites, and departments often outsource these positions to recruitment agencies or maintain their own register of interested candidates. If you are interested in non-ongoing employment it is best to contact the individual government department you are interested in working for to determine how they go about their non-ongoing recruitment. Graduate positions are offered in many government departments and graduate programs are run by the Australian Public Service, the States and also individual departments. Graduate programs normally advertise between February and June each year, and are usually advertised on the government websites. Graduates do not need to go through a graduate program in order to be employed in the Public Service, and are also encouraged to apply for non-graduate employment opportunities. Vacation employment, which is often paid, is an excellent way to get your first job in the public service. Vacation employment allows you to “get your foot in the door” and learn government policies and processes so that you are better equipped when you apply for a permanent position. Vacation employment is generally administered by each individual department. Occasionally positions are advertised on the government job websites from private organisations that would be of interest to people visiting Public Service employment websites. Typically these would be information on development opportunities for public servants or other public service related employment.